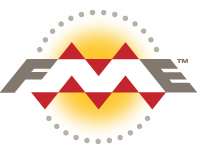 Store and exchange any data through the COLLADA format using FME's data transformation capabilities. FME’s tools allow you to transform data’s contents and structure to meet the specific model requirements of the target format or application. By creating clear paths for data to flow seamlessly from source to destination data model, its integrity is preserved after migration. FME workflows run automatically and can be reused for future COLLADA conversion tasks, saving you time and helping you work more efficiently. COLLADA defines an XML based schema used for exchanging 3D digital assets between various graphics software. The COLLADA file extension is .dae which stands for digital asset exchange. FME lets you integrate many applications and file formats. Here are some of the ways our users convert Collaborative Design Activity (COLLADA). The table below outlines how Collaborative Design Activity (COLLADA) is supported by our different FME products, and on which platform(s) the reader and/or writer runs.